Walking through the local park (camera at the ready!) 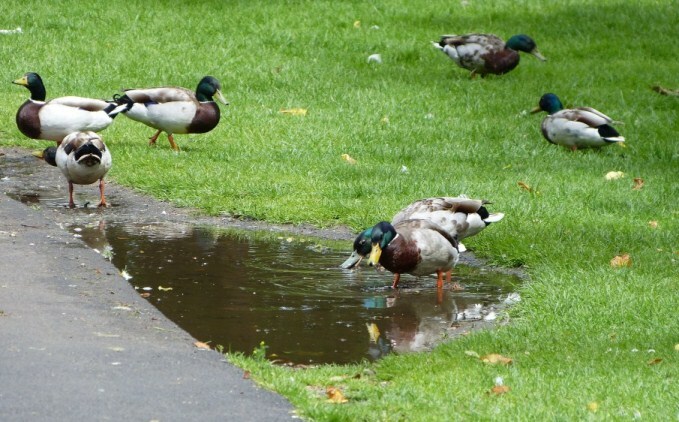 and there was a group of ducks “on the move” towards a large puddle. Then I spotted this Mallard standing away from the others - fortunately he posed long enough for me to get his picture. Last edited by Micawber; Jun 14, 2012 at 5:57 AM. Hi Micawber! Long time no see, hope all is well. 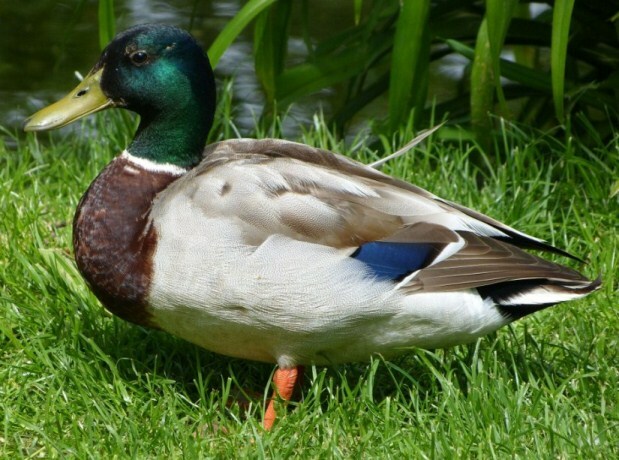 Very nice looking Mallard shot, nice color and detail. Hope you will continue to post some of your FZ150 shots. Nice colors and sharp. I'm saving to get the FZ150. Thanks for the comments . . . jjdog2 - I’m trying to get myself back on track after a period away (with no photography!). Will post a couple more soon. Peruchox - save real hard . . you won’t be disappointed! Forgive me for nit pricking, but I would like to see a bit more of the subjects habitat, especially in front, otherwise a good shot. You’re not nit-picking at all! Yours is a valid point . . . but, the photo is just a “snap” as I was walking in the park. 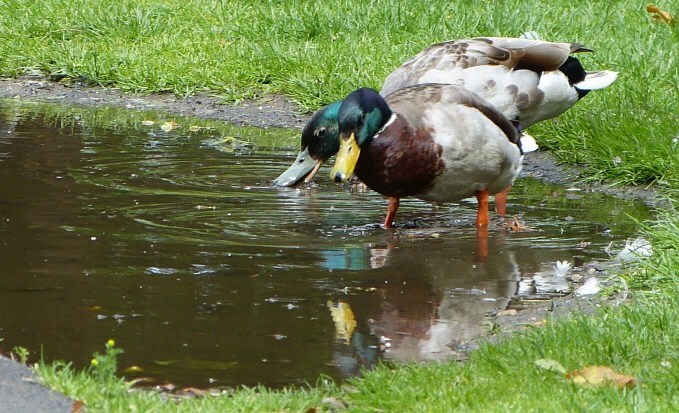 A group of ducks were active around a puddle . . . which I “snapped” and then I spotted a Drake standing apart from the others . which I posted yesterday.